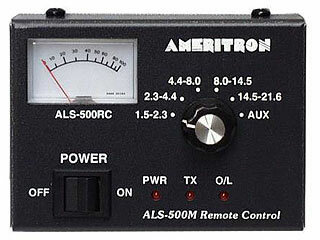 The Ameritron ARF-500K is a filtering circuit that allows the ALS-500M to be used with the ALS-500RC (remote head). 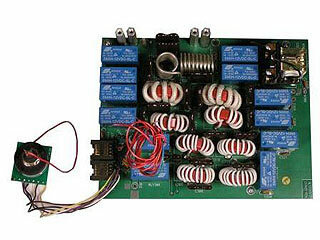 The ARF-500K is design to be used with Ameritron ALS-500M with serial number 13049 or less. Current production model with serial number ending with an 13049 and above is already compatible for the ALS-500 Remote Head. The ALS-500 Remote Head allows the amplifier to be placed away from the operating station and still have access of the front panel controls. The Remote Head has a Frequency Select Switch, ON/OFF Switch, Relay control jack, Current Meter, and three LEDs for TX, O/L and Power. The ALS-500M will still have front panel controls (ON/OFF, Frequency Select, and Thermal overload, Load fault indicators), along with remote capability after the new filter circuit is installed.